National Consultants offer a strong design bias, with a unique technical knowledge and skill set, resulting in the ability to view holistic design solutions that ultimately benefit the client and the end user of the building. Alan is a fully qualified, highly experienced fire engineer with an expert knowledge of the fire engineering and the consenting requirements for New Zealand. He has over 20 years’ experience and was formally the fire engineer for the Department of Building and Housing. 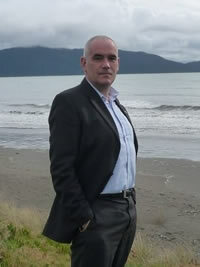 More recently Alan was the Technical lead for fire at Auckland Council. Natalie has formal tertiary qualifications in Building Surveying and Fire Safety Engineer and is a Chartered Building Engineer. Natalie has a wide experience in both the regulatory and design environments. She has a background in local Councils in New Zealand and national building process in the UK. Hayley has a background in office administration and office management. Hayley is responsible for the day to day running of the office and is also the main contact point for queries and general liaison with National Consultants.